You can always depend on E! to take the chill out of February with two of the hottest TV award ceremonies of the year: the 59th Grammy Awards on the 12th, and the granddaddy of ‘em all, the 89th Academy Awards, better known as “The Oscars”, on the 26th. 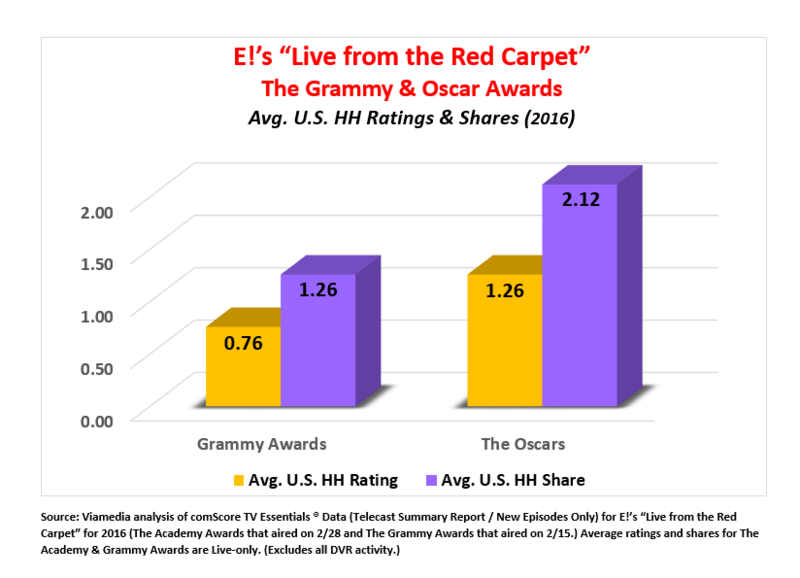 For over 20 years (and counting,) E!’s “Live from the Red Carpet” show has provided viewers with an up-close look-see at all the glitz and all of the glamour to these marquee annual events which celebrate excellence in music and cinematic achievements over the past year. 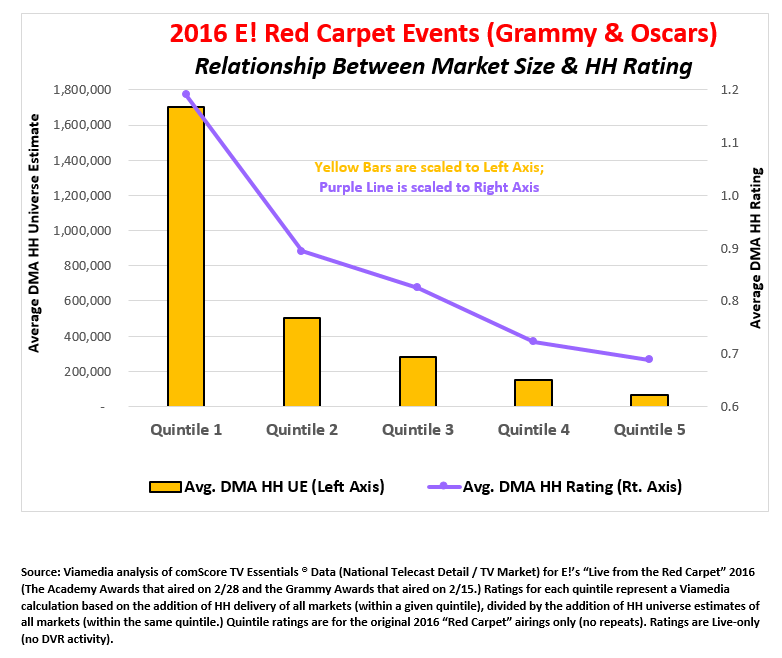 E!’s “Red Carpet” franchise extends to several award shows (including the Golden Globes and Screen Actors Guild Awards) and represents the sort of opportunistic programming niche that cable has carved out in light of (long-held) exclusive broadcast rights to certain high profile TV events. (Animal Planet’s canine tie-in to the NFL Super Bowl -- “The Puppy Bowl” -- is a classic example.) With E!’s “Red Carpet” events, there’s no need to fly out to L.A. to catch all the glam as top-shelf Hollywood talent strolls down the red carpet in all their sartorial splendor. Just grab a front row seat in the quiet and comfort of your own home. E! 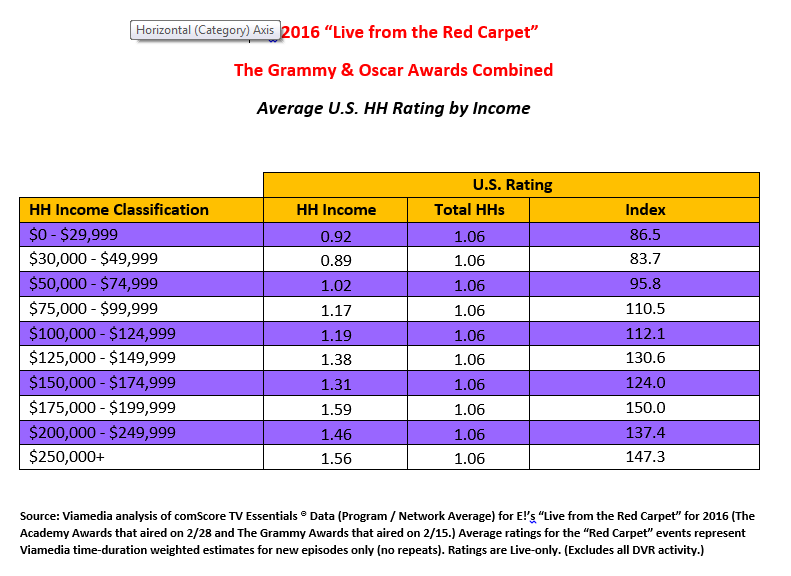 doesn’t stop with the Grammy and Oscar annual awards… oh, no! There are also “Red Carpet” events for the Emmy, Golden Globe and Screen Actors Guild Awards shows. But the creatives over at E! have gone even further. 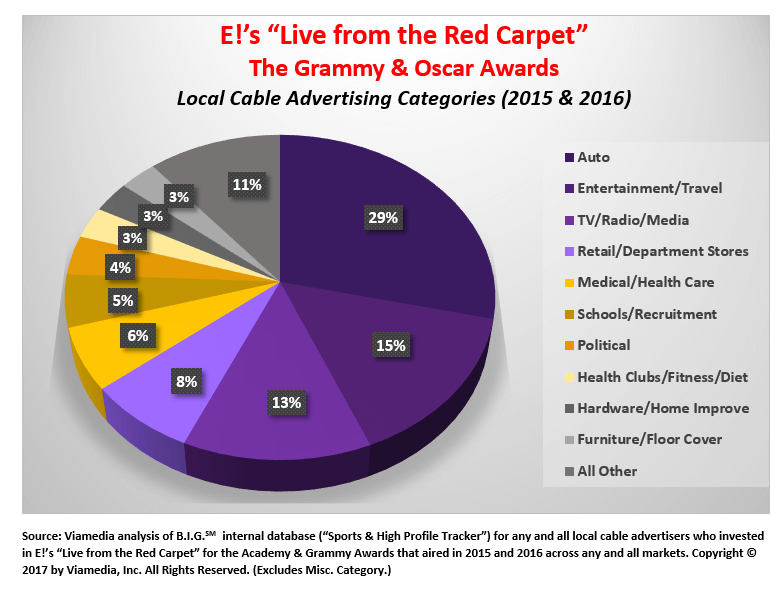 They not only turned several major award ceremonies into their own branded “Red Carpet” event, they even created programming content around that event with programs such as, “Countdown to the Red Carpet”, “Fashion Police” and the “Live Post Show – E! After Party.” In essence, then, E! has built an entire infotainment franchise around stars just strolling down a red-colored carpet dressed to the nines with their significant other! It’s just the sort of sunny, warm L.A. kind of fun the rest of the nation loves watching as it trudges through the cold dark days of February. Find this post beneficial? Read more TV show analyses here.